I bought this umbrella in the markets of Firenze (Florence) Italy, 2006. I wanted to use this golden, practical object for my work, as the umbrella appropriated 4 iconic Florentine Renaissance buildings, in duplicate. It was kitsch / pastiche. It took my fancy… enormously! I took this photo about 4 am, in July, on an early winter’s morning. The (almost) full moon was setting behind me, to the west. I used a Canon 1Ds, 28mm lens, on a tripod, with a long exposure and mirror lock-up. 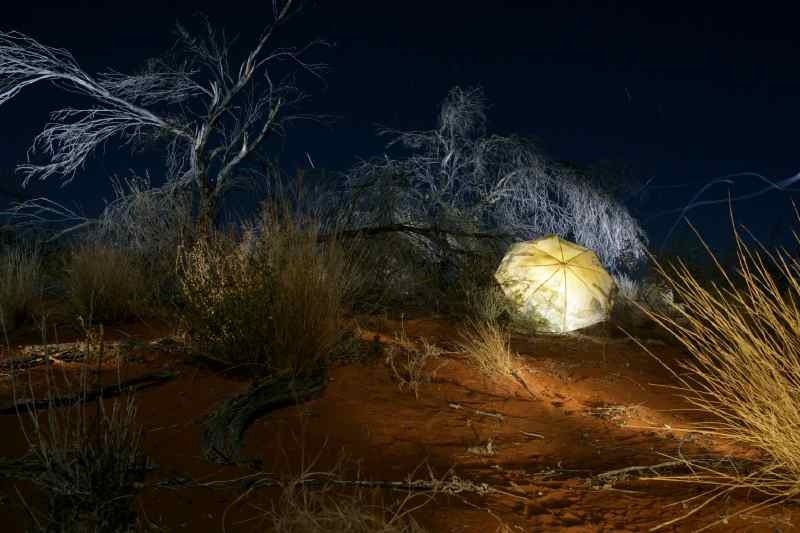 I lit the landscape with hand-held flash units, torches and the umbrella, with an LED Sony video light. This entry was posted in Firenze and tagged firenze, horizon, moonstruck. Bookmark the permalink.